I think just about everyone has skewered the viral Netflix-hosted documentary What the Health into oblivion, pointing out the many ways in which the documentary blatantly misrepresents basic common knowledge about anatomy, biology, physiology, and virtually every other -ology in favor of promoting a plant-exclusive lifestyle. Though I have my own thoughts on it and may get around to posting them some day, what I struggled with the most was how little people understood a very common disease, diabetes. In fact, anyone who understand what diabetes is and how it behaves in the human body likely all had the same reaction I did when we reached the point of the documentary where the doctor claimed that meat caused diabetes: a jaw that dropped so hard that it hit the ground with a thud. I’ve spent almost an entire decade learning about the human body, health and fitness, and distilling it in an easily accessible fashion for the every day person, something that the average modern doctor isn’t really able to do on their own without industry interference. Trying to break down something as complex as diabetes in a manner that the everyday eater can understand is difficult; doing it while still being able to keep the visit short enough that you can see another 20 patients that day is bordering on impossible. That’s part of why it was so easy for a flashy documentary with what looked like decent production value to swindle so many people into believing an otherwise phony claim about diabetes and how it works. Hopefully, I can change that. 1—Most people don’t understand what diabetes is. Diabetes is the name we use when we’re referring to a condition where your body cannot keep up with the amount of sugar in your blood stream on a regular basis. Consider the fact that your body will convert any carbohydrates (and any excess calories, regardless of the source) you eat over the course of the day into a kind of sugar known as glucose, which is primed to be stored as energy (read: fat) on your body. Your pancreas releases something known as insulin to help this process along. 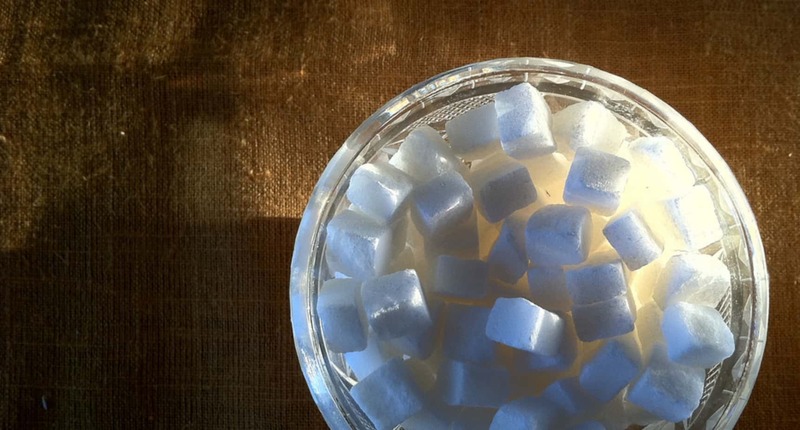 To put it plainly, it’s an inability for your body to produce enough insulin to keep up with the amount of sugar you consume on a regular basis. 2—Because most people don’t understand what diabetes is, they are misled when they’re told their diet has nothing to do with it, or that sugar doesn’t play as massive a role in its prevalence as it does. In What the Health, a bariatric doctor states something to the effect of, “sugar does not cause diabetes, meat does,” and it was at that moment that I had to pause and literally pull out books to explain to the other people in the room just why that was a crazy statement to make. Our diets absolutely play a role in the way our bodies process the foods we eat, and it only benefits food manufacturing corporations to cloud our understanding of exactly which foods do what. In fact, in his book The Case Against Sugar, Gary Taubes outlines the decades long effort the sugar industry and its friends in processed food have joined forces to flood the media with sugar-friendly and sugar-defending research, even going so far as to have a team of Ivy League-credentialed researchers that were dispatched to defend the sugar industry every time research was published stating the obvious: sugar is not meant to be the mainstay it has become in our kitchens, and in our lives. It is, quite honestly, an invention of the sugar industry for it to be the unchallenged and un-moderated ever-present entity it is. It’s how it remains profitable. 3—The claim that meat causes diabetes isn’t accurate, but the idea that it contributes to it is not entirely irrational… in a Stretch Armstrong-kinda reach kind of way. We can’t say that meat doesn’t contribute to diabetes, particularly “processed meats” like bacon, hot dogs, and sausages, because sugar is used in each of those—well, at least they’re used in the versions you buy in the grocery store—in the curing and flavoring process. Not only that, but because so many of the processed meats we buy aren’t actually all meat—they’re often meat combined with flour and other kinds of filler, increasing the percentage of carbs in that food, carbs that very quickly turn into the kind of sugar that overwhelms our bodies—they’re now easier to consume in larger quantities and now contribute more to the amount of carbs we eat over any given day… which means it can be a part of the problem. A big part. That being said, if we compared the amount of sugar in a handful of sausage links to the amount of sugar you get in a sodapop, and considered how many sausage links you’d have to consume in order to get the amount of sugar you’d have in that sodapop in one sitting… listen. You’d make yourself sick before you hit those numbers. It’d be not only difficult, it’d be nauseating. So much of the problem is that it’s difficult, in the current modern processed food landscape, to consume carbohydrates in conjunction with components that would prevent us from overeating—protein, fiber, and fat. Carbohydrates that are originally combined with these components are frequently stripped and separated from the proteins, fibers, and fats in order to make them more palatable, less chewy, easier to swallow whole, eat until it’s gone, and have to rush out to buy more. Brown rice becomes white without the protein and fiber; complex carbs become simple, and simple carbs in abundance quickly become diabetes. See how quickly this stuff becomes complicated? 4—It is possible to reverse diabetes, but even this is conditional. When we talk about “reversing diabetes,” we literally mean “no longer needing medication to manage our blood sugar levels.” If we manage the sugar in our diets by limiting it permanently, our bodies never have to stress over the arduous tasks of cleaning up the sugar in our blood and keeping our hearts healthy, and brings us to the point of not needing the medication to do so anymore, but that’s dependent on whether your body is healthy enough to live without those meds. For some of us, it might be a more difficult journey. People are emotionally and habitually attached to the foods they eat, and the amounts of them they eat. Because of this, doctors are often uncomfortable suggesting “lifestyle changes” as a way of managing diabetes and preventing it from becoming the awful, terrible, horrible thing that results in loss of limb and life. It’s easier (and, honestly, more reliable and more likely to be life-saving) to just prescribe something and hope for the best that the patient slowly makes the changes that will reduce the need for medication altogether. Giving yourself a few months (at least six) of keeping your sugar consumption to less than 10% of your daily diet not only helps your body find its equilibrium again, but also has the added benefit of reducing your blood pressure, since the foods that contribute to high blood sugar levels also contribute to high blood pressure… but this has to be a permanent change. As in, this isn’t the kind of thing where you “deprive” yourself for six months and then ball out of control on the ‘first of tha month’ in the cookie aisle. Regular exercise also helps because your body burns up the sugar in your blood stream to help fuel your activity, but even this has its conditions. Sometimes people adopt the “I run so I can [binge] eat” principle and overdo it on the carbs because they’re so active, which almost negates the positive effects of the exercise altogether, leaving you worse off than before. This brings me to my fifth point. 5—Diabetes is inextricably linked to heart disease for an important reason. While I can understand the desire to use the most radical and salacious language to encourage people to eat healthier, I’m disgusted by the eagerness to mislead and misinform people about their own bodies. If there’s one thing I’ve learned after almost 9 years of blogging about fitness and the human body, it’s that empathy combined with resources is the best way to inform people on making the best choices for themselves. Anything else—like proclaiming the “safeness” of sugar while lying about what makes meat harmful—is manipulative and dangerous. Thanks for this, very informative even for me who has tried every diet on the market. I myself suffer from high BP and my husband suffers from both High BP and Diabetes. We are definitely not the picture of health but this article gave me some new insight. I appreciate your time and dedication for putting solid info out here.